Skeleton Crew is proud to announce the release of our much anticipated single [at least in our minds! :-)] “Chime For Change: If I Were a Boy,” as a Valentine to Beyonce for including Skeleton Crew at the close of her “***FLAWLESS” video. Each band member went through a lot of personal crises during the recording process which is why it took so long to finish. The process was painful, but so is the important subject matter of the song. On December 13, 2013, Beyoncé surprised the world with the release of her self-titled album: Beyoncé. Her record-breaking release sold nearly 900,000 copies to adoring fans in over 104 countries in three days. The first single and video release for “***Flawless” included Skeleton Crew and introduced the band to the world. The timing of her release was almost twenty years to-the-date when Skeleton Crew faced a 12-year-old Beyonce and her then group, Girls Tyme on Ed McMahon’s Star Search TV show: “the American Idol” of its time. Skeleton Crew defeated Girls Tyme, but went on to lose in the semi-finals. The Girls Tyme Star Search loss became “a defining moment of [her] childhood,” according to Beyonce. Skeleton Crew is eternally grateful to Beyonce for the overwhelming amount of attention the band has received as a result of this global exposure. The media focus has been off-the-charts! Skeleton Crew’s hope with this recording is to draw awareness to Chime For Change: a global campaign co-founded by Beyoncé, Salma Hayek, Frida Giannini and founded by Gucci. Chime For Change’s mission is to help promote gender equality and advance the status and human rights of all women and girls around the world. Skeleton Crew has also released the “Chime For Change: If I Were a Boy” video to bring this critical issue to the forefront and help initiate positive change by inspiring everyone to #ChimeIN and pass this powerful message forward. The Chime For Change video is available for viewing on Skeleton Crew Music YouTube Page. Skeleton Crew co-produced “Chime For Change: If I Were A Boy” with Emmy-Award winning producer, Kevin Sharpe, and it was recorded at Detroit’s Metro 37 Recording Studios. The song will be available as a free download on the Skeleton Crew’s Soundcloud.com and Nimbit.com websites among others. Learn more about Chime For Change and how you can help make a difference at www.chimeforchange.org. Skeleton Crew has a message for the world this April Fools’ Day: Gender equality and human rights are no joke and it’s “Chime For Change.” April 1, 2015, marks the turning point in putting an end to the injustices that have befallen girls and women worldwide for centuries. 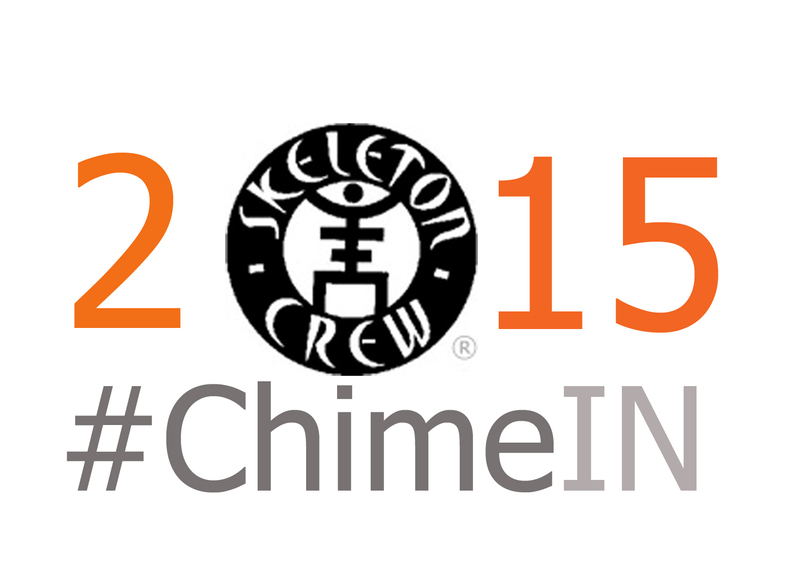 Skeleton Crew’s efforts are in support of Chime For Change: a global campaign co-founded by Beyoncé, Salma Hayek, Frida Giannini and founded by the house of Gucci. Chime For Change is intent to convene, unite and strengthen the voices speaking out for girls and women around the world because none of us can move forward if half of us are held back. Learn more at http://www.chimeforchange.com or visit http://www.skeletoncrewmusic.com.